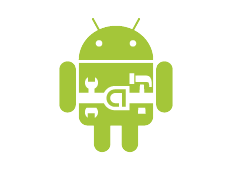 Google is thanking America for being one of the most hottest markets for Android. 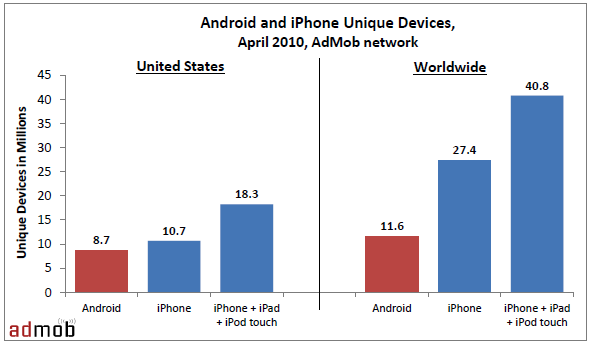 According to AdMob’s report that when compared to the world sales of Android, 75 percent of them were here in America. Other countries have modest Android sales with 11 percent in Western Europe and 12 percent in Asia. This is good news for Google that Apple’s iphone had only 49 percent in America with 28 percent in Western Europe and 14 percent in Asia. AdMob tracks the number of unique devices thanks to its mobile-advertising network. The stats are the data gathered by the users when they access some web content that carries the AdMob ads which act as trackers. This is the reason why its stats cover only those devices that it sees and does not speak for all the devices around the world. It is interesting to note that AdMob was acquired by Google recently, could this be a biased report? Unlikely, Android has seen a boost in sales however Apple still has a good hold on the market. While Google claims to be registering about 1,00,000 phones a day, the competition will only get intense with the new iPhone 4 due sometime soon in late summer. You can read the AdMob report here. Next Apple out of business – 14 years ago. Keep up the good work, I like your writing.